We are on the telly!!! on Channel 5 on August 10th at 9pm (London time). Whatsontv: Lucky Ben ends this run in French Polynesia to meet Londoner Rick, who lives on a 36ft boat sailing the Pacific with girlfriend Jasna. The scenery is just stunning and the ocean-loving couple are the picture of contentment. Both say they were born with itchy feet and live for the moment, sailing around beautiful islands and doing a bit of work where they can to buy the barest of essentials. 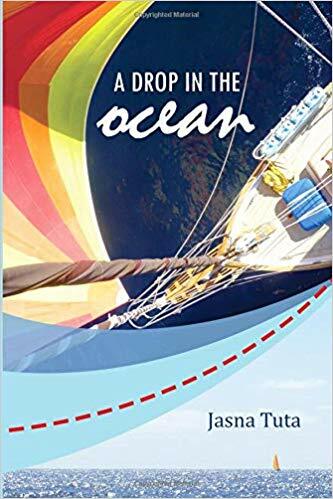 Ben tries to find a few hardships in their idyllic life, but Rick and Jasna were meant to live exactly as they are – footloose and fancy free on the ocean waves. This entry was posted in Uncategorized and tagged Calypso, cruising, French Polynesia, lifestyle, sailing. Bookmark the permalink. ← Our book is now available! 45 Responses to We are on the telly!!! You are very kind, but you really don’t need any courage to do this. All you need is the right attitude – we wrote a book about it, maybe it will help you come and join us. see you out there! Great programme, well done. On our way soon in our own 10m ketch! thanks! see you in the South Pacific! Thanks Everyone! Lou Psyche – you don’t need much courage, just a short memory. Let me know if you need any advice or motivation to get going. Did you ever send those links over? Loved the Ben Fogle programme, your boat and amazing lifestyle. Bought your book. Checking out HC Union 36’s as I type ! Now just need to persuade the wife, who unfortunately gets sea sick !!! Does Jasna have a sister Rick ? You lucky man ! 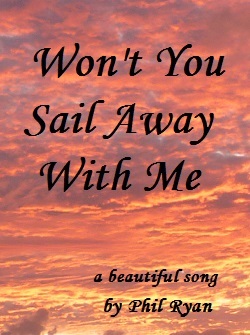 Happy Sailing the pair of you……… enjoy ! Jasna has a wonderful sister actually, but you have as much chance of getting her on a boat as you have of getting Jasna off one. Sea-sickness is something everyone gets when they start, but you soon get your sea legs. Jasna suffers from it every time we start a long voyage. She knocks back a couple of sturgeron every day for the first few days while she is getting her sea legs, no problem. I also find that sea sickness is linked very closely with fear of the unkown and feelings of being out of control. If you explain everything to your wife and put her in charge (particularly helming and navigation) you may find that her sea-sickness disappears. Has worked 100% of the time for me with new crew. There are some tips on preservation in the book (which must have arrived by now) but Jasna is a little mine of information on that score and I will pass on the message. Buying a Kindle on Saturday! Then buying the book! Hi,Loved the Ben Fogle programme,I spent 6 years travelling round the Pacific,but in a big white thing.1975-1981 things were a lot less touristy then.Keep safe and enjoy the sea and the island people.Oh,and look out for John and Debbie on Odditty,they left Shoreham UK on their second time round in July. Graham, Sussex Yacht Club. PS Apart from a few places like Papeete and Bora Bora, the south Pacific (you will be pleased to hear) is still pretty untouched. Hi Rick, Adam here of dreadful tenor player fame.. You used to teach me in your flat in crouch end, 20 years ago. You are obviously living the dream, well done. Take care there. have sent you an email Adam! The paperback comes out in 4 days! Superb! What a life, what an inspiration! Thanks Phil. Are you a sailor too? Rick you wonderful tart – I totally enjoyed your amazing programme and thought you and Jasna are just beautiful together in every definition of the word! Thank you for your lovely email. I too remember most fondly our many journeys to central London in my multi-coloured mini (who was as you so rightly recall was called “Normal Norman”) We certainly had some great chats – it’s a wonder there are still any problems left in the world! PPS How is Farren? I do worry about him sometimes. That is great news Steve! There is plenty of space out here on the ocean and we are well chuffed that we have managed to push you a bit towards joining us. I hope you like the book – let us know if you have any queries (our email is in the book) or just need a motivational kick to get cracking. PS: If you like the book, don’t forget to leave a review on amazon as this helps us sell some more and we are coming up for a new jib! Thanks Neville! We are delighted by your kind comments. Are you thinking of sailing off into the sunset too? REALLY?!? Do you already have a boat or are you going boat shopping? That’s even better, all the fun and none of the expenses! I watched this and loved it. Then came across you through a repost and realised the connection. So inspiring, you guys rock. Thanks Tamsin…. are you a sailor too? Nearly finished the book and found the reference to the Ben Fogle episode – can’t find the thing anywhere. Is it still available? Great book by the way! Step one is a concerted campaign to win my wife over, starting next summer by getting her to actually sleep at anchor. Where does the Maxi 100 stand on your ‘suitable for the life’ scale? Just checking I haven’t completely misunderstood the principals. If I can give a book recommendation of my own…sailing just for fun by Charles Stock, having read yours it is now my second favourite sailing book. Thanks for getting in touch, l will drop you an email tomorrow. I was intrigued by the choice of this boat. Question of opportunity, price, robustness? In any case, beautiful pictures, showing only the positive (important!). See you soon, maybe for new adventures?